People with EHS (Electromagnetic Sensitivity) often find that Florescent Lights, whether it be the long tube lighting or the spiral light bulb, they get headaches when close to them. 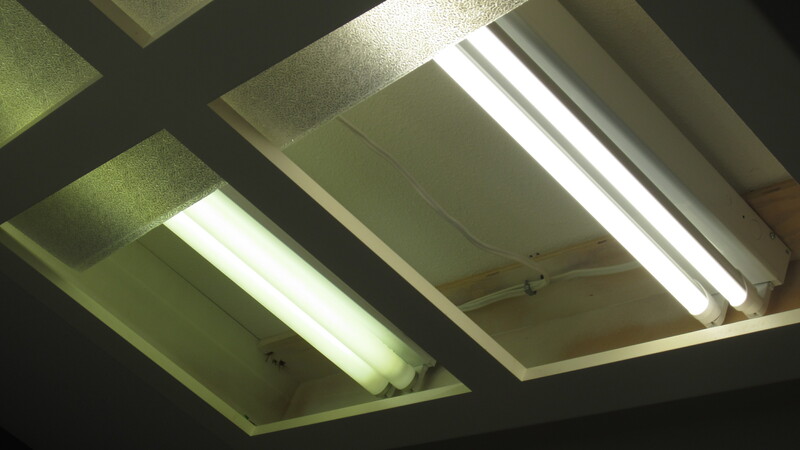 LED lighting has been out for many years, but it was not easy to find in the average store, until now. 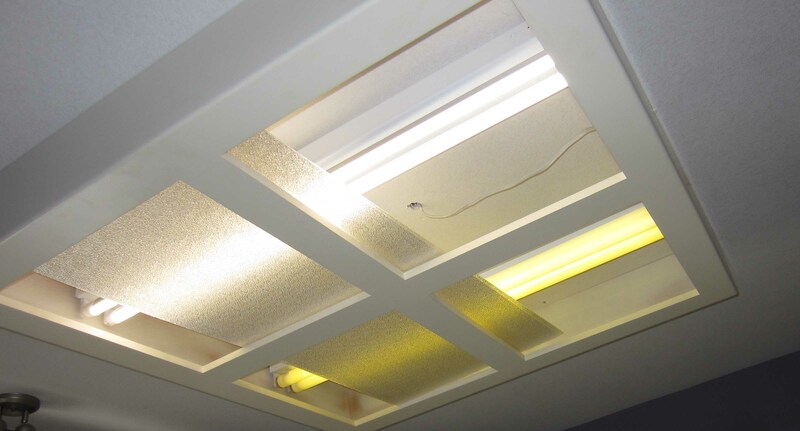 Major hardware stores now have a wide selection of LED Tube lighting replacements. You can also order LED online. Some are wired for easy installation, just plug it in, however if your Kitchen for example, has Florescent tubes and you would just like to install new LED tubes, thats a bit more complicated, but not too difficult to do. A shop that only sells LED near Vancouver BC had just the LED bulb we were looking for. 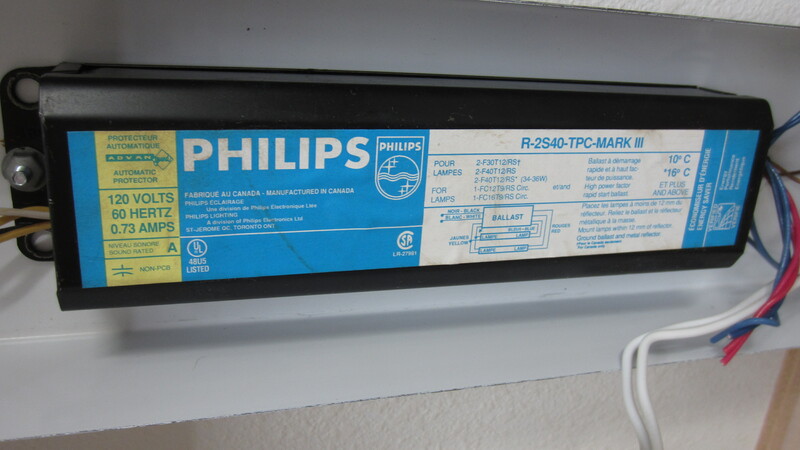 They explained that you just disconnect the “magnetic” Ballast and hook up the black wire to the black – and the white wire to the white. Sounded simple enough, and it turned out to be very easy. By the way, the fact that the ballast had magnets in it was a big clue to why EHS people feel Florescent Lights (and ceiling fans which also have large magnets), all this added to the already large amount of ellectromagnetic frequencies from wireless, removing these bulbs and the ballast is worth the small expense and time. We should mention that LED “Instant Fit” tubes must have “self ballast”, most likely do and will not need the ballast due to the very low amount of power the LED uses compared to the florescent. 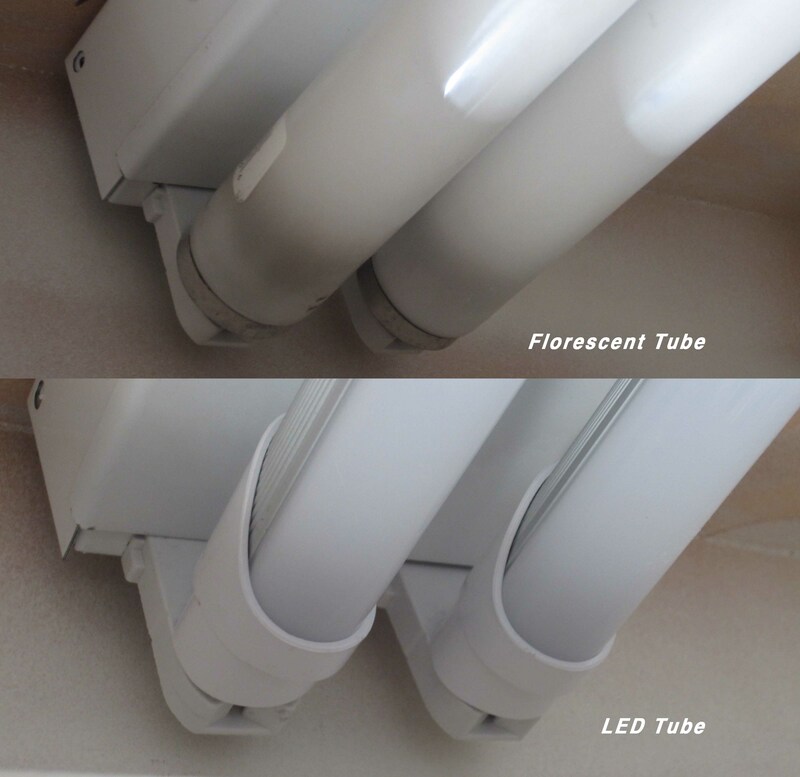 Here are photos comparing the lighting of both the Old Florescent Tube lights and the new LED tube lighting. 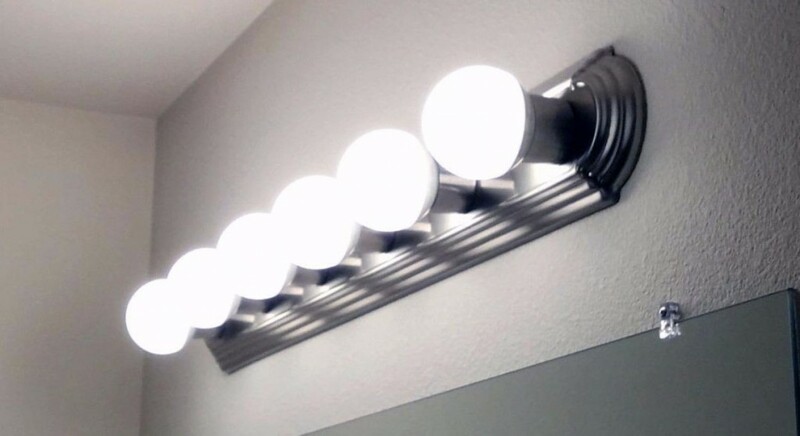 Many Bathrooms have G25 Bulbs, or Globe Bulbs. These are often clear and very strong for people with EHS. They can easily be replaced by LED G25 Globe bulbs. People that have changed them say the health improvements were well worth the trouble and expense.